Cyclone Length: 43.7m Exterior styling: Tansu Yachts Naval Architect: Diana Yacht Design Builder: Tansu Yachts You can’t mistake the hand of Riza Tansu in Cyclone’s bold lines, evoking comparisons with minesweepers and fast coastal patrol cutters, as this signature look has brought this designer/builder prizes on previous occasions. But on top of the sparseness of detail and clean horizontal lines, this year the judges noted a softer side to the styling with a bit more rake to the bow that reverses at the top to create a touch of tumblehome and a hint of a sheer curve as it moves aft. The design continued to impress the judges with the introduction of sloped forward glass on two decks and the absence of eyebrows altogether. The superstructure is nicely integrated within the profile and provides plenty of both open and protected outdoor living space while actually increasing the interior volume available to the owner. Finishing close behind Cyclone was Claydon Reeves’ well-received exterior styling update on the classic raised pilothouse form with the 36 metre Delta One from Mulder Shipyard. You can’t mistake the hand of Riza Tansu in Cyclone’s bold lines, evoking comparisons with minesweepers and fast coastal patrol cutters, as this signature look has brought this designer/builder prizes on previous occasions. But on top of the sparseness of detail and clean horizontal lines, this year the judges noted a softer side to the styling with a bit more rake to the bow that reverses at the top to create a touch of tumblehome and a hint of a sheer curve as it moves aft. The design continued to impress the judges with the introduction of sloped forward glass on two decks and the absence of eyebrows altogether. The superstructure is nicely integrated within the profile and provides plenty of both open and protected outdoor living space while actually increasing the interior volume available to the owner. Finishing close behind Cyclone was Claydon Reeves’ well-received exterior styling update on the classic raised pilothouse form with the 36 metre Delta One from Mulder Shipyard. Jubilee Length: 110m Exterior styling: Lobanov Naval Architect: Azure Naval Architects/Oceanco Builder: Oceanco Once in a blue moon is a phrase that acknowledges something of rare occurrence, and with the plentiful entries in the motor yacht exteriors category, the judges were not looking for the merely beautiful, they sought what is extraordinary and innovative. Igor Lobanov’s cerebral design for Jubilee delivers on all counts. The trompe l’oeil treatment of deck perimeters engages both the senses and curiosity with imaginative glazing that calls into question the true number of decks above main. But it is Lobanov’s vision for seeing Jubilee from the sky as an island and the undulating patterns of light and shadow created by her curvaceous deck shapes and long flattening overhangs that make this yacht breathtaking and unique. The surprising reversed metallic blue and white paint scheme is also appreciated for its freshness and for keeping the visual height of the profile in check. The innovation of seamless exterior deck overheads and continuous LED strip lighting are significant. Finally, the judges believe this styling – even with its debated sharp step in the forward sheerline – while innovative today will “age beautifully”, making Jubilee the sort of design that comes along "once in a blue moon". Once in a blue moon is a phrase that acknowledges something of rare occurrence, and with the plentiful entries in the motor yacht exteriors category, the judges were not looking for the merely beautiful, they sought what is extraordinary and innovative. Igor Lobanov’s cerebral design for Jubilee delivers on all counts. The trompe l’oeil treatment of deck perimeters engages both the senses and curiosity with imaginative glazing that calls into question the true number of decks above main. But it is Lobanov’s vision for seeing Jubilee from the sky as an island and the undulating patterns of light and shadow created by her curvaceous deck shapes and long flattening overhangs that make this yacht breathtaking and unique. The surprising reversed metallic blue and white paint scheme is also appreciated for its freshness and for keeping the visual height of the profile in check. The innovation of seamless exterior deck overheads and continuous LED strip lighting are significant. Finally, the judges believe this styling – even with its debated sharp step in the forward sheerline – while innovative today will “age beautifully”, making Jubilee the sort of design that comes along "once in a blue moon". Ngoni Length: 58.2m Exterior stylst: Dubois Naval Architects Naval architect: Dubois Naval Architects Builder: Royal Huisman The final project from the team at Dubois Naval Architects, Ngoni’s exterior styling shows the impressive results of pushing builders and glass manufacturers to the limit in pursuit of beauty, aerodynamics, and blurring exterior and interior environments. The effort to bend glass to the designer’s will that began with the substantially larger and deeper Aglaia (now Anatta) launched in 2012 sees its zenith with Ngoni showing proportionately more glass in the deckhouse, skylights and hullsides. The profile of the boat from plumb bow to open stern is low and exciting and accented by the fact the sheer is inflected to add stiffness to the hull. The foredeck contains a large spa tub that can be sheltered by a modern version of an Arabian tent. The indoor/outdoor lounge aft of the saloon offers a perfect spot for outdoor living underway or at anchor and the stepped stern with its raised sunbed creates a useful and unique experience. Showing that size isn’t everything, finishing just two points behind was the smallest of the finalists, 32.5 metre Ribelle, whose lovely profile, glass deckhouse and waterfall transom are by Malcolm McKeon. The final project from the team at Dubois Naval Architects, Ngoni’s exterior styling shows the impressive results of pushing builders and glass manufacturers to the limit in pursuit of beauty, aerodynamics, and blurring exterior and interior environments. The effort to bend glass to the designer’s will that began with the substantially larger and deeper Aglaia (now Anatta) launched in 2012 sees its zenith with Ngoni showing proportionately more glass in the deckhouse, skylights and hullsides. The profile of the boat from plumb bow to open stern is low and exciting and accented by the fact the sheer is inflected to add stiffness to the hull. 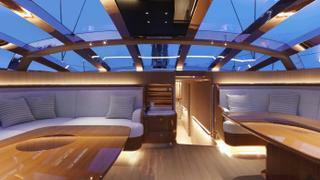 The foredeck contains a large spa tub that can be sheltered by a modern version of an Arabian tent. The indoor/outdoor lounge aft of the saloon offers a perfect spot for outdoor living underway or at anchor and the stepped stern with its raised sunbed creates a useful and unique experience. Showing that size isn’t everything, finishing just two points behind was the smallest of the finalists, 32.5 metre Ribelle, whose lovely profile, glass deckhouse and waterfall transom are by Malcolm McKeon. TELLI Length: 33m Interior designer: Ferretti Group Naval architect: Ferretti Group Builder: Custom Line (Ferretti Group) Motor yacht interiors drew the largest number of nominations of all categories, and even after shortlisting the best there were still enough boats for three groups based on volume. 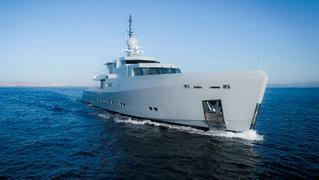 This, the smallest class, offered our judges a good mix of custom and production yachts. The judges zeroed in on a Navetta 33 model, TELLI, for the way her apparent architectural simplicity harmonised with her exterior profile. Behind the apparent simplicity of clear geometric lines, however, were clever features such as a single piece of saloon furniture designed to hide a TV and the AV system, a bar unit with a fridge and the room’s cooling unit. Silky walnut veneer joinery with its horizontal lines in flat panels was put to use by the designers to extend space visually, and whitewashed hardwood floor timber establishes a feeling of relaxed casual living. It is a simple backdrop, embellished by the fun chunkiness of the staircase, for a modern art collection. The lighting design also got high marks. Two of the owner’s material selections, Jerusalem marble and crystal, are used throughout to contribute just the right touch of elegance. 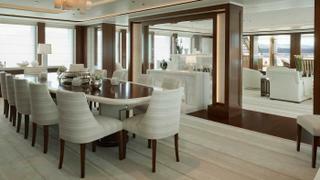 Motor yacht interiors drew the largest number of nominations of all categories, and even after shortlisting the best there were still enough boats for three groups based on volume. This, the smallest class, offered our judges a good mix of custom and production yachts. The judges zeroed in on a Navetta 33 model, TELLI, for the way her apparent architectural simplicity harmonised with her exterior profile. Behind the apparent simplicity of clear geometric lines, however, were clever features such as a single piece of saloon furniture designed to hide a TV and the AV system, a bar unit with a fridge and the room’s cooling unit. Silky walnut veneer joinery with its horizontal lines in flat panels was put to use by the designers to extend space visually, and whitewashed hardwood floor timber establishes a feeling of relaxed casual living. It is a simple backdrop, embellished by the fun chunkiness of the staircase, for a modern art collection. The lighting design also got high marks. Two of the owner’s material selections, Jerusalem marble and crystal, are used throughout to contribute just the right touch of elegance. Razan Length: 47m Interior designer: H2 Yacht Design Naval architect: Camuzzi Engineering Builder: Turquoise Yachts For the first yacht issued after a change in the majority ownership of the yard, Turquoise Yachts had something to prove. To shorten delivery time, this vessel was purchased mid-build as a bare hull and superstructure and brought to Turquoise for total rethinking, including upping the guest accommodation with an additional stateroom and Pullman berths. British-based H2 Yacht Design was tasked to deliver a balance between wow factor and wide market appeal, a challenge our judges felt they met with flair. The ability of H2’s designers and the yard to deliver a sense of spaciousness within a fixed envelope is noteworthy with recessed ceilings featuring undulating gloss panels, while mother-of-pearl, Swarovski crystals and polished stainless surfaces reflect light. Low furniture and window seats preserve views through enlarged windows and reduced mullions, while smart architecture, floating furniture and hidden lighting makes rooms appear larger. Knowing the yard’s capability with stone, H2 emphasised this feature to great effect, especially in the lightly veined Turkish ivory marble central staircase. Obviously in full agreement with our judges, new owners purchased this vessel shortly after her debut appearance. 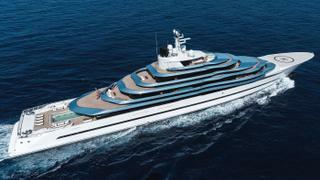 For the first yacht issued after a change in the majority ownership of the yard, Turquoise Yachts had something to prove. To shorten delivery time, this vessel was purchased mid-build as a bare hull and superstructure and brought to Turquoise for total rethinking, including upping the guest accommodation with an additional stateroom and Pullman berths. British-based H2 Yacht Design was tasked to deliver a balance between wow factor and wide market appeal, a challenge our judges felt they met with flair. The ability of H2’s designers and the yard to deliver a sense of spaciousness within a fixed envelope is noteworthy with recessed ceilings featuring undulating gloss panels, while mother-of-pearl, Swarovski crystals and polished stainless surfaces reflect light. Low furniture and window seats preserve views through enlarged windows and reduced mullions, while smart architecture, floating furniture and hidden lighting makes rooms appear larger. Knowing the yard’s capability with stone, H2 emphasised this feature to great effect, especially in the lightly veined Turkish ivory marble central staircase. Obviously in full agreement with our judges, new owners purchased this vessel shortly after her debut appearance. 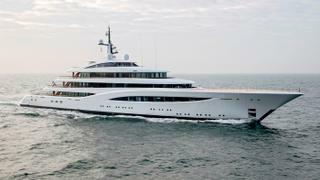 Faith Length: 96.6m Interior designer: RWD/Chahan Interior Design Naval architect: Feadship De Voogt Naval Architects Builder: Feadship Much is expected of the interiors in the largest motor yacht category and the Feadship Faith did not disappoint. From her profile, it is apparent how important endless views through large expanses of glass are to the owner and this is reflected in the arrangement of furniture within the spaces, the absence of heavy window treatments and the almost-monochromatic colour palette. Experienced British yacht designers RWD were teamed with the owner’s personal designer, Chahan Minassian of Paris, to create an interior with transparency as its theme even to such objects as a double-sided fireplace between the saloon and dining room. Horizontal lines repeat in subtle treatments on floors, walls and furnishings, but this classic motif is beautifully modernised by woven leathers, multi-textured stone and stainless steel. Judges’ Commendation Award Of all the interior elements of all the nominees, the imaginative interplay of elements in Barbara’s main stair column garners special note. A large oval glass elevator shaft wrapped in the beautiful, gnarled and silvered root system of an ancient teak tree rises through two continuous decks. This sinuous, signature decorative item, which took a whole year to complete, is the ultimate expression of the design brief “no straight lines”. 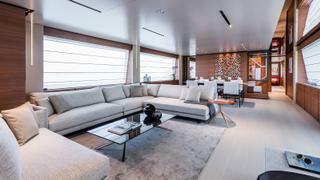 Much is expected of the interiors in the largest motor yacht category and the Feadship Faith did not disappoint. From her profile, it is apparent how important endless views through large expanses of glass are to the owner and this is reflected in the arrangement of furniture within the spaces, the absence of heavy window treatments and the almost-monochromatic colour palette. Experienced British yacht designers RWD were teamed with the owner’s personal designer, Chahan Minassian of Paris, to create an interior with transparency as its theme even to such objects as a double-sided fireplace between the saloon and dining room. Horizontal lines repeat in subtle treatments on floors, walls and furnishings, but this classic motif is beautifully modernised by woven leathers, multi-textured stone and stainless steel. Of all the interior elements of all the nominees, the imaginative interplay of elements in Barbara’s main stair column garners special note. A large oval glass elevator shaft wrapped in the beautiful, gnarled and silvered root system of an ancient teak tree rises through two continuous decks. This sinuous, signature decorative item, which took a whole year to complete, is the ultimate expression of the design brief “no straight lines”. Ribelle Length: 32.5m Interior Designer: Rémi Tessier Naval Architect: Malcolm McKeon Yacht Design Builder: Vitters The winner of this award proves once again that excellence in interior design is not predicated by yacht size. The smallest boat in the field, Ribelle has a bespoke contemporary interior reflecting considerable involvement by experienced owners. The palette is restrained in terms of materials but dramatic in its varied use of them. To counterpoint the darkly tinted glass forming the yacht’s coach roof, for example, gleaming copper bands cover the carbon frames. Easing the transition between deck and interior, the warming effect of the sun glinting on copper is stunning, its reflective qualities seeming to enlarge the space. Rarely seen on yachts, copper, sealed using a special automotive process, serves as an accent throughout. Along with creating a statement in a small space, the designer had to meet the strict weight budget of a boat conceived to win races. Rémi Tessier's answers came in strong architectural lines, a panoply of organic curves on built-in furniture and the clever reversed layout of the master suite. Of special note is the bright galley created to meet the needs of a gourmet. Ribelle is a triumph of space planning. 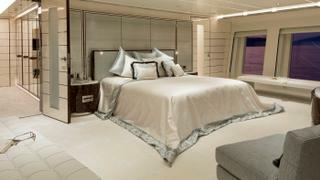 The winner of this award proves once again that excellence in interior design is not predicated by yacht size. The smallest boat in the field, Ribelle has a bespoke contemporary interior reflecting considerable involvement by experienced owners. The palette is restrained in terms of materials but dramatic in its varied use of them. To counterpoint the darkly tinted glass forming the yacht’s coach roof, for example, gleaming copper bands cover the carbon frames. Easing the transition between deck and interior, the warming effect of the sun glinting on copper is stunning, its reflective qualities seeming to enlarge the space. Rarely seen on yachts, copper, sealed using a special automotive process, serves as an accent throughout. Along with creating a statement in a small space, the designer had to meet the strict weight budget of a boat conceived to win races. Rémi Tessier's answers came in strong architectural lines, a panoply of organic curves on built-in furniture and the clever reversed layout of the master suite. Of special note is the bright galley created to meet the needs of a gourmet. Ribelle is a triumph of space planning. 1 of 7 Length: 35.5m Naval architect: Vripack Builder: Dynamiq The brief began with the typical characteristics requested of all semi-displacement yachts: optimal performance balanced with comfort. To this equation, Dynamiq added the goal of long range. Vripack created a round bilge hull with a narrow bow and small bulb for reduced resistance and lower fuel consumption while still being capable of 21 knots at top speed. The yacht scored well on efficiency with a computed fuel burn of just 0.465 l/h/t and a range of more than 3,300 nm. To improve performance even further, the yacht is fitted with a Hull Vane, a patented horizontal foil fixed below the stern. Developed by Van Oossanen Naval Architects, it influences the stern wave pattern and creates hydrodynamic lift, which is partially directed forward. This innovation increases the yacht’s efficiency and improves seakeeping by reducing pitching and yawing motions, giving this yacht the top score among the finalists for seakeeping. An innovative electric stabiliser and interceptor system also increases comfort both underway and at anchor. Judges also noted that 1 of 7 received a RINA Comfort Class and Green Star certification. The brief began with the typical characteristics requested of all semi-displacement yachts: optimal performance balanced with comfort. To this equation, Dynamiq added the goal of long range. Vripack created a round bilge hull with a narrow bow and small bulb for reduced resistance and lower fuel consumption while still being capable of 21 knots at top speed. 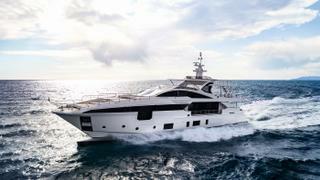 The yacht scored well on efficiency with a computed fuel burn of just 0.465 l/h/t and a range of more than 3,300 nm. To improve performance even further, the yacht is fitted with a Hull Vane, a patented horizontal foil fixed below the stern. Developed by Van Oossanen Naval Architects, it influences the stern wave pattern and creates hydrodynamic lift, which is partially directed forward. This innovation increases the yacht’s efficiency and improves seakeeping by reducing pitching and yawing motions, giving this yacht the top score among the finalists for seakeeping. An innovative electric stabiliser and interceptor system also increases comfort both underway and at anchor. Judges also noted that 1 of 7 received a RINA Comfort Class and Green Star certification. Home Length: 50m Naval architect: Van Oossanen/Heesen Yachts Builder: Heesen Yachts Rather than review a shortlist of finalists selected by the senior editorial team at Boat International Media, all of the entries for naval architecture go straight to the pros on the naval architecture subcommittee. In this category, that meant crunching numbers on 13 candidates to present finalists to the full jury. Along with the objectivity of statistics, the subcommittee also compared the brief for the boat with the designer’s statements, thoroughness of design methods and images, including video of the yacht underway. This year’s winner was clearcut on nearly all the categories under scrutiny and showed clear determination by the originator of the project, in this case the shipyard, to excel in this arena. Van Oossanen’s task this time was to take its fast displacement hull form and optimise it for displacement speed economy with small engines and a hybrid propulsion package plus deliver comfort characteristics in waves. Thirty hull forms were tested via computational fluid dynamics with the top contender model tested at the Wolfson Unit. The vertical stem with modest flare, fin stabilisers and interceptors at the transom showed the best results for reducing roll and pitch. Everything else was created in support of controlling weight and drag to allow Home to achieve 16 knots or better with the least horsepower of any of the finalists. Rather than review a shortlist of finalists selected by the senior editorial team at Boat International Media, all of the entries for naval architecture go straight to the pros on the naval architecture subcommittee. In this category, that meant crunching numbers on 13 candidates to present finalists to the full jury. Along with the objectivity of statistics, the subcommittee also compared the brief for the boat with the designer’s statements, thoroughness of design methods and images, including video of the yacht underway. This year’s winner was clearcut on nearly all the categories under scrutiny and showed clear determination by the originator of the project, in this case the shipyard, to excel in this arena. Van Oossanen’s task this time was to take its fast displacement hull form and optimise it for displacement speed economy with small engines and a hybrid propulsion package plus deliver comfort characteristics in waves. Thirty hull forms were tested via computational fluid dynamics with the top contender model tested at the Wolfson Unit. The vertical stem with modest flare, fin stabilisers and interceptors at the transom showed the best results for reducing roll and pitch. Everything else was created in support of controlling weight and drag to allow Home to achieve 16 knots or better with the least horsepower of any of the finalists. Ngoni Length: 58.2m Naval architect: Dubois Naval Architects Builder: Royal Huisman The naval architects who lead the judges’ discussion on this category said they felt like they were splitting hairs to choose a winner. The yachts are extremely different in appearance and brief, yet all the finalists are superb designs and each received top marks in at least one of the sub-categories used to determine the winner. Ngoni pulled out the win by one point largely on the basis of innovation, complexity of the vessel, demands of the brief — including class requirements – investigation of keel and rudder options and testing of hydrodynamics. While Ribelle posted top numbers for sheer performance, as her 2017 regatta results support, the judges felt at she was an evolution of her naval architect’s winning approach to performance cruisers, whereas Ngoni innovated solutions with an approach to stiffness via hull structure not seen before. Also innovative are her general arrangement and myriad design and engineering solutions for managing this sloop's tremendous sail power. The naval architects who lead the judges’ discussion on this category said they felt like they were splitting hairs to choose a winner. The yachts are extremely different in appearance and brief, yet all the finalists are superb designs and each received top marks in at least one of the sub-categories used to determine the winner. Ngoni pulled out the win by one point largely on the basis of innovation, complexity of the vessel, demands of the brief — including class requirements – investigation of keel and rudder options and testing of hydrodynamics. While Ribelle posted top numbers for sheer performance, as her 2017 regatta results support, the judges felt at she was an evolution of her naval architect’s winning approach to performance cruisers, whereas Ngoni innovated solutions with an approach to stiffness via hull structure not seen before. Also innovative are her general arrangement and myriad design and engineering solutions for managing this sloop's tremendous sail power. Faith Length: 96.6m Naval architect: Feadship De Voogt Naval Architects Interior designer: RWD/Chahan Interior Design Exterior stylist: RWD Builder: Feadship In this complex category, judges surveyed not just the arrangement of guest areas but the space and layout for crew service, tender operations, maintenance and safety. Faith shines on all counts thanks in part to a clear owner’s brief to create a yacht for intensive use with private spaces and open areas for friends and family gatherings. Driving length and layout was the helicopter hanger; when the air tender is stored, the deck can be used for netted games. The beach club nearly doubles in size when transom and side terraces are open, its sloping ceiling being the bottom of a nine metre pool. Ease of movement is highlighted with separate elevators for crew and guests plus multiple staircases. Guests are treated to a hair salon and pantry next to their cabins, while the owner has a full private deck. His office is cleverly one deck below on the bridge/helideck next to staff cabins and the captain’s office. A portside loading bay, separate crew mess and lounge, dedicated hospital, crew gym and lower deck tender bays are top features. Proving size isn’t a precursor to good layout, tying for second place were sailing yachts Pink Gin and Ribelle. In this complex category, judges surveyed not just the arrangement of guest areas but the space and layout for crew service, tender operations, maintenance and safety. Faith shines on all counts thanks in part to a clear owner’s brief to create a yacht for intensive use with private spaces and open areas for friends and family gatherings. Driving length and layout was the helicopter hanger; when the air tender is stored, the deck can be used for netted games. The beach club nearly doubles in size when transom and side terraces are open, its sloping ceiling being the bottom of a nine metre pool. Ease of movement is highlighted with separate elevators for crew and guests plus multiple staircases. Guests are treated to a hair salon and pantry next to their cabins, while the owner has a full private deck. His office is cleverly one deck below on the bridge/helideck next to staff cabins and the captain’s office. A portside loading bay, separate crew mess and lounge, dedicated hospital, crew gym and lower deck tender bays are top features. Proving size isn’t a precursor to good layout, tying for second place were sailing yachts Pink Gin and Ribelle. Azimut Grande 35 Metri Length: 35.2m Builder: Azimut Yachts Naval architect: Pierluigi Ausonio Exterior stylist: Stefano Righini Interior designer: Achille Salvagni To create a new flagship for the Azimut Grande range, length was not the builder’s sole criteria, in fact the driving force was volume. To keep the line’s sporty DNA, an innovative wide-body design facilitates all the features the market is seeking, including a side tender garage, stern beach club, main deck owner’s suite and four guest cabins. 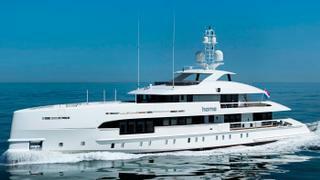 Add to this a surprising foredeck sunning area with spa tub, a full flying bridge and optional sun deck. For this tall order Azimut turned to carbon fibre and aerospace technology to reduce weight, increase stiffness and control noise. The D2P hull with wave-piercing bow increases efficiency through the range to 25 knots. Stefano Righini’s RPH lines are dramatic even to the unusual flared foredeck and this is neatly balanced by Achille Salvagni’s light and sculptural interiors. The builder has not cut corners by insisting on easy-to-replicate square boxes for the interior, instead allowing sensuous curves and a variety of exclusive materials. Of particular note, the master stateroom’s port “window” opens out while a large terrace floor with integral handrails slides out of the hull creating an instant balcony. To create a new flagship for the Azimut Grande range, length was not the builder’s sole criteria, in fact the driving force was volume. To keep the line’s sporty DNA, an innovative wide-body design facilitates all the features the market is seeking, including a side tender garage, stern beach club, main deck owner’s suite and four guest cabins. 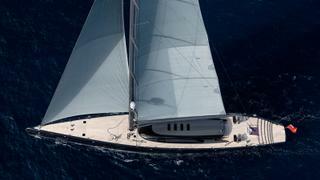 Add to this a surprising foredeck sunning area with spa tub, a full flying bridge and optional sun deck. For this tall order Azimut turned to carbon fibre and aerospace technology to reduce weight, increase stiffness and control noise. The D2P hull with wave-piercing bow increases efficiency through the range to 25 knots. Stefano Righini’s RPH lines are dramatic even to the unusual flared foredeck and this is neatly balanced by Achille Salvagni’s light and sculptural interiors. The builder has not cut corners by insisting on easy-to-replicate square boxes for the interior, instead allowing sensuous curves and a variety of exclusive materials. Of particular note, the master stateroom’s port “window” opens out while a large terrace floor with integral handrails slides out of the hull creating an instant balcony. 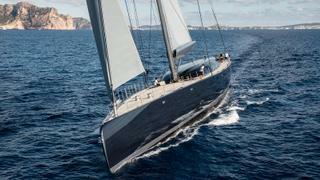 Seven Length: 60m Interior designer: Dante O Benini & Partners Exterior stylist: Perini Navi Builder: Perini Navi Lighting design was added to the awards programme in 2017 after our judges commented that lighting lagged behind other achievements in large yachts. By focusing on this area, the awards programme hopes to elevate the quality of lighting design across the range. Of those who submitted their yachts for scrutiny, by far the most complex lighting plan was presented by Dante O Benini & Partners and Perini Navi for Seven. Not coincidentally, the owners are experienced yachtsmen. Benini notes he approached the interior commission as “an architect trying to interpret the human spirit”. 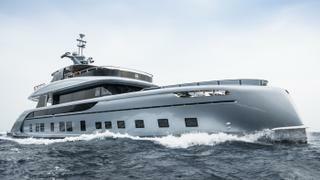 As seven is the owner’s number of grandchildren, the team was aware there would be three generations living on board, each with needs and activities. As with a fine home, on Seven some lighting functions are automatic and anticipatory, others highlight architecture or illuminate art, and some provide safety at night or support specific activities or tasks using the latest technology. Even chromotherapy is considered. Much use is made of backlit onyx and elsewhere the programmable, dimmable light is tuned to warm tones. Lighting design was added to the awards programme in 2017 after our judges commented that lighting lagged behind other achievements in large yachts. By focusing on this area, the awards programme hopes to elevate the quality of lighting design across the range. Of those who submitted their yachts for scrutiny, by far the most complex lighting plan was presented by Dante O Benini & Partners and Perini Navi for Seven. Not coincidentally, the owners are experienced yachtsmen. Benini notes he approached the interior commission as “an architect trying to interpret the human spirit”. 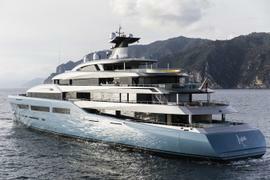 As seven is the owner’s number of grandchildren, the team was aware there would be three generations living on board, each with needs and activities. As with a fine home, on Seven some lighting functions are automatic and anticipatory, others highlight architecture or illuminate art, and some provide safety at night or support specific activities or tasks using the latest technology. Even chromotherapy is considered. Much use is made of backlit onyx and elsewhere the programmable, dimmable light is tuned to warm tones. Home Length: 50m Builder: Heesen Yachts Naval architect: Van Oossanen/Heesen Yachts Exterior stylist: Omega Architects Interior designer: Cristiano Gatto Design Just three teams were brave enough to submit projects for scrutiny in this new category seeking significant investment in design, equipment and operational procedures to reduce environmental impact. Diesel-electric hybrids are today’s most widespread environmentally friendly propulsion solution, but even this is evolving with differences in application from yacht to yacht. For a project that began on speculation by the builder, the Heesen brief was for low- and mid-speed efficiency with top priority on quiet and comfort. Sharing both its decision matrix and performance results, the yacht now known as Home combines aluminium construction and a Fast Displacement Hull Form with relatively small 840hp main engines. Two-speed diesel generators powering electric shaft motors deliver low speed cruising at 9 knots, burning just 45 litres per hour in electric mode while producing only 46dB of noise in the owner’s stateroom. The mains coupled to shaft generators can push her to 16.3 knots while still powering the house load without requiring a separate generator. While this yacht does not offer “silent mode” operation on batteries, the power train is future-proofed for this quieter option. Just three teams were brave enough to submit projects for scrutiny in this new category seeking significant investment in design, equipment and operational procedures to reduce environmental impact. Diesel-electric hybrids are today’s most widespread environmentally friendly propulsion solution, but even this is evolving with differences in application from yacht to yacht. For a project that began on speculation by the builder, the Heesen brief was for low- and mid-speed efficiency with top priority on quiet and comfort. Sharing both its decision matrix and performance results, the yacht now known as Home combines aluminium construction and a Fast Displacement Hull Form with relatively small 840hp main engines. Two-speed diesel generators powering electric shaft motors deliver low speed cruising at 9 knots, burning just 45 litres per hour in electric mode while producing only 46dB of noise in the owner’s stateroom. The mains coupled to shaft generators can push her to 16.3 knots while still powering the house load without requiring a separate generator. While this yacht does not offer “silent mode” operation on batteries, the power train is future-proofed for this quieter option. Aviva Length: 98.4m Lifestyle feature: Padel Tennis Court Interior designer: Reymond Langton Design Naval architect: Abeking & Rasmussen Exterior stylist: Reymond Langton Design/Toby Silverton Builder: Abeking & Rasmussen Two of the finalists admit that the entire yacht project was driven by the desire to maximise a single activity space. While both are spectacular, one required so much research, engineering and innovation that it claimed top prize. Consider the issues of building a permanent, professional padel tennis court measuring 10m x 20m x 6.65m inside a yacht without detracting from the profile or other indoor areas. From prescribed flooring and side walls for proper bounce and regulation artificial turf including the two tons of special sand that keep it springy, to sound deadening, HVAC, damaged stability and evacuation concerns, this is a major undertaking. With such a special space, no ordinary access would do so an undulating grand staircase delivers guests from a main deck lobby two decks below to this surprising luxury sports hall. 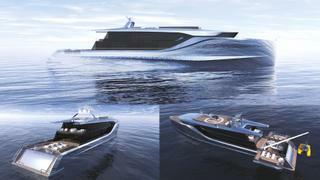 The Judges’ Commendation Award Seasense began as a concept sketch based on the designer’s perception that yachts have disproportionate indoor space. For an owner seeking a yacht with a big pool deck, it was the perfect start. Complete with privacy/wind/sun screens and a misting system and located next to a full open dining room, the judges felt this pool deck deserved recognition. 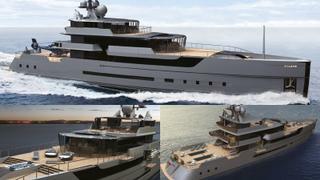 Two of the finalists admit that the entire yacht project was driven by the desire to maximise a single activity space. While both are spectacular, one required so much research, engineering and innovation that it claimed top prize. Consider the issues of building a permanent, professional padel tennis court measuring 10m x 20m x 6.65m inside a yacht without detracting from the profile or other indoor areas. From prescribed flooring and side walls for proper bounce and regulation artificial turf including the two tons of special sand that keep it springy, to sound deadening, HVAC, damaged stability and evacuation concerns, this is a major undertaking. With such a special space, no ordinary access would do so an undulating grand staircase delivers guests from a main deck lobby two decks below to this surprising luxury sports hall. 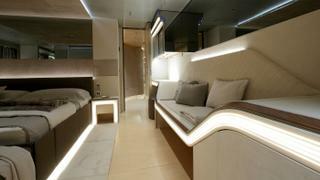 Seasense began as a concept sketch based on the designer’s perception that yachts have disproportionate indoor space. For an owner seeking a yacht with a big pool deck, it was the perfect start. Complete with privacy/wind/sun screens and a misting system and located next to a full open dining room, the judges felt this pool deck deserved recognition. Faith - Limousine Tender Length: 10m Builder: Tenderworks Naval architect: Allseas Design Exterior stylist: RWD Interior designer: RWD This category attracted 14 exciting tenders including open boats, enclosed limo tenders and even specialised landing craft. Although the subcommittee members evaluating the entries studied the entrants separately, they came to the same conclusion for the top finisher, the 10-passenger limo tender matching the gentle curves and design ethos of its mothership, Faith. Design perfection was the primary objective for the owner but functionality still had to be paramount for the safe operation of the 40+ knot craft. Indirect lighting for night use is superb. The construction is mahogany veneer over carbon composite with an interior of leather and walnut crafted with the same detail as the yacht. 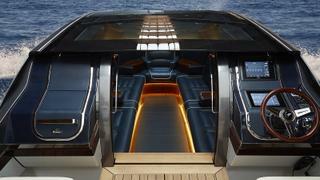 The concept is a convertible tender with maximum possible headroom as a closed limousine that can automatically switch to an open boat. Its 3D curved glass roof panels slide forward utilising a cable drive system and disappear into a dedicated storage compartment, while the glass door aft and the side windows drop via a rack and pinion system. In all it took 18 months to design, 22,000 man hours to execute, 2,500 parts and seven servomotors to make an extraordinarily beautiful tender that goes from limousine to open with the touch of one button. This category attracted 14 exciting tenders including open boats, enclosed limo tenders and even specialised landing craft. Although the subcommittee members evaluating the entries studied the entrants separately, they came to the same conclusion for the top finisher, the 10-passenger limo tender matching the gentle curves and design ethos of its mothership, Faith. Design perfection was the primary objective for the owner but functionality still had to be paramount for the safe operation of the 40+ knot craft. Indirect lighting for night use is superb. The construction is mahogany veneer over carbon composite with an interior of leather and walnut crafted with the same detail as the yacht. The concept is a convertible tender with maximum possible headroom as a closed limousine that can automatically switch to an open boat. Its 3D curved glass roof panels slide forward utilising a cable drive system and disappear into a dedicated storage compartment, while the glass door aft and the side windows drop via a rack and pinion system. In all it took 18 months to design, 22,000 man hours to execute, 2,500 parts and seven servomotors to make an extraordinarily beautiful tender that goes from limousine to open with the touch of one button. Nicolò Piredda Concept Name: Galàna Nationality: Italy College of education: Politecnico di Milano The judges were highly impressed by the overall quality of this year’s student category, whose entries numbered 26 from 12 countries. Reducing this entry to six finalists, was neither a quick nor easy process, and was achieved only after lively discussion and a detailed study of all the entries. The difficulty of this process is reflected in the judges’ decision to honour not just our winner, who is Nicolo Piredda from Italy but also Guehun Lee from the Republic of Korea who was awarded a Special Mention. Our youngest ever entry, 13 year old Jens de Klerk has also been awarded a Judges’ Special Mention for effort even though he does not feature amongst the finalists. In the view of the judges, Nicolò Piredda’s work stood out because he excelled in all three of the requested tasks. The exterior styling of his 60 metre project was both practical and elegant, while displaying the necessary ruggedness required of a “go-anywhere” explorer. In the interior, the general arrangement plan exactly met the requirement and at the same time provided a workable flow for both guests and crew, while the requested design development sketches were executed in masterful manner. This was considered to be an exceptional effort by a 24-year-old candidate. The judges were highly impressed by the overall quality of this year’s student category, whose entries numbered 26 from 12 countries. Reducing this entry to six finalists, was neither a quick nor easy process, and was achieved only after lively discussion and a detailed study of all the entries. The difficulty of this process is reflected in the judges’ decision to honour not just our winner, who is Nicolo Piredda from Italy but also Guehun Lee from the Republic of Korea who was awarded a Special Mention. Our youngest ever entry, 13 year old Jens de Klerk has also been awarded a Judges’ Special Mention for effort even though he does not feature amongst the finalists. In the view of the judges, Nicolò Piredda’s work stood out because he excelled in all three of the requested tasks. The exterior styling of his 60 metre project was both practical and elegant, while displaying the necessary ruggedness required of a “go-anywhere” explorer. In the interior, the general arrangement plan exactly met the requirement and at the same time provided a workable flow for both guests and crew, while the requested design development sketches were executed in masterful manner. This was considered to be an exceptional effort by a 24-year-old candidate. Damien Bovie Concept Name: Mirage Nationality: France Current Employer: Freelance Designer This professional division saw a sizeable entry of 18 professional designers from 13 different countries. The task given to this category was the same as that for the students, but was made more complex by entrants being given a very specific set of realistic technical guidelines by the sponsor shipyard, Oceanco. The judges experienced little difficulty in refining this entry to eight, but only three finalists were needed and selecting these required a great deal of further work. In due course, just five entries were put under the most detailed scrutiny and, somewhat reluctantly, the judges eliminated Dani Santa and Katarzyna Tarczon. This left Damien Bovie, Francesco Conte and Yilin Huang as finalists, and prompted more lively discussion before 26-year-old Bovie from France was recognised as the winner. In view of the closeness of this decision, it was decided that Yilin Huang should receive a Judges' Special Mention for his work. The judges chose Mirage, Bovie’s entry for its combination of excellent presentation, practical ideas, and a nicely drawn general arrangement plan. While the exterior looks could be mistaken for a Mediterranean cruiser, its lines conceal well thought out interior storage for the helicopter; a good range of tenders and toys that, most practically, include a snowmobile; and excellent crew facilities. This professional division saw a sizeable entry of 18 professional designers from 13 different countries. The task given to this category was the same as that for the students, but was made more complex by entrants being given a very specific set of realistic technical guidelines by the sponsor shipyard, Oceanco. The judges experienced little difficulty in refining this entry to eight, but only three finalists were needed and selecting these required a great deal of further work. In due course, just five entries were put under the most detailed scrutiny and, somewhat reluctantly, the judges eliminated Dani Santa and Katarzyna Tarczon. This left Damien Bovie, Francesco Conte and Yilin Huang as finalists, and prompted more lively discussion before 26-year-old Bovie from France was recognised as the winner. In view of the closeness of this decision, it was decided that Yilin Huang should receive a Judges' Special Mention for his work. The judges chose Mirage, Bovie’s entry for its combination of excellent presentation, practical ideas, and a nicely drawn general arrangement plan. While the exterior looks could be mistaken for a Mediterranean cruiser, its lines conceal well thought out interior storage for the helicopter; a good range of tenders and toys that, most practically, include a snowmobile; and excellent crew facilities. Giovanni Zuccon Company: Zuccon International Projects Nationality: Italy First Yacht Design:1978, Technema 65, Posillipo Giovanni Zuccon’s achievements in yacht design began as a happy accident. After beginning college as an engineering student he switched to architecture at La Sapienza University. Truth be told, his first love is arguably research. After graduation, Gianni, as he is affectionately known, and his beloved late wife, architect Paola Galeazzi, opened a studio in Rome in 1972. Also an industrial designer, he approaches problems by first studying the relationship of objects and spaces. Among his first projects was helping design a city for 50,000 people on the banks of Zaire's Congo River. Here he learned to design for a cultural context not his own. Likewise, he is proud of designs as diverse as intercity and tourist buses and buildings for the European Space Agency since 1984. In the mid 1970s Posillipo Shipyards solicited input from architects for two recreational boat projects. Zuccon declined to submit on the basis that he knew nothing of boats. But when the shipyard said it wanted someone without boat knowledge, someone with a new approach, he relented. He and Paola submitted two small interior drawings. When Posillipo called their submission “interesting and viable”, Gianni threw himself into researching boats, from materials to methods. The rest is history. Actually, it's the history of the dawn of semi-custom boatbuilding, a modular process of standardised bulkheads for preset wiring and piping. He noted a theatre thus arranged made a variety of stage scenes possible. It was Zuccon’s idea to create designs that matched the builder’s industrial production objectives while allowing boat owners to satisfy specific needs. In 1978 Gianni and Paola galvanized the core of their design philosophy around the belief that to secure its future, the yachting industry had to create and give space to a new kind of close relationship between craftsmanship and industry. Our database reveals 430 yachts beyond 20 metres with the Zuccon name attached ranging from a 38-foot open to the 80 metre CRN Chopi Chopi. We salute Giovanni Zuccon for a lifetime of yachting achievement. Giovanni Zuccon’s achievements in yacht design began as a happy accident. After beginning college as an engineering student he switched to architecture at La Sapienza University. Truth be told, his first love is arguably research. After graduation, Gianni, as he is affectionately known, and his beloved late wife, architect Paola Galeazzi, opened a studio in Rome in 1972. Also an industrial designer, he approaches problems by first studying the relationship of objects and spaces. Among his first projects was helping design a city for 50,000 people on the banks of Zaire's Congo River. Here he learned to design for a cultural context not his own. Likewise, he is proud of designs as diverse as intercity and tourist buses and buildings for the European Space Agency since 1984. In the mid 1970s Posillipo Shipyards solicited input from architects for two recreational boat projects. Zuccon declined to submit on the basis that he knew nothing of boats. But when the shipyard said it wanted someone without boat knowledge, someone with a new approach, he relented. He and Paola submitted two small interior drawings. When Posillipo called their submission “interesting and viable”, Gianni threw himself into researching boats, from materials to methods. The rest is history. Actually, it's the history of the dawn of semi-custom boatbuilding, a modular process of standardised bulkheads for preset wiring and piping. He noted a theatre thus arranged made a variety of stage scenes possible. It was Zuccon’s idea to create designs that matched the builder’s industrial production objectives while allowing boat owners to satisfy specific needs. In 1978 Gianni and Paola galvanized the core of their design philosophy around the belief that to secure its future, the yachting industry had to create and give space to a new kind of close relationship between craftsmanship and industry. Our database reveals 430 yachts beyond 20 metres with the Zuccon name attached ranging from a 38-foot open to the 80 metre CRNChopi Chopi. 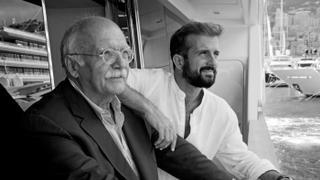 We salute Giovanni Zuccon for a lifetime of yachting achievement.